This week I’m working my way through my Winter deep clean plan and am focusing on bathrooms. I deep cleaned the kids bathroom earlier today and began working on organizing the master bath. 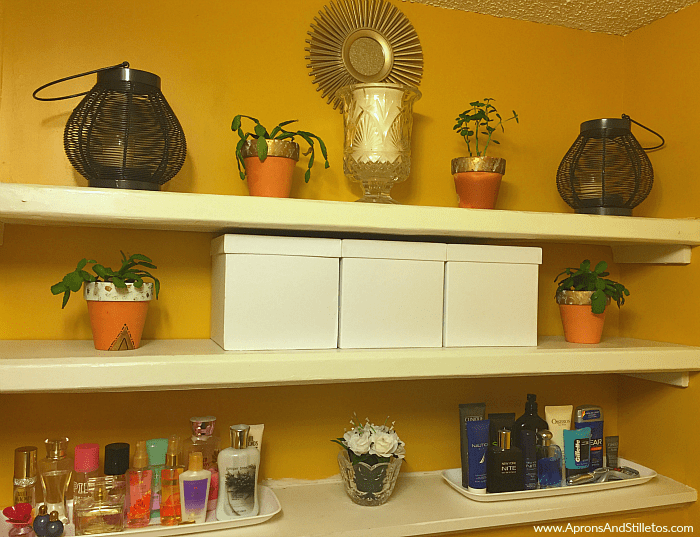 So far, I’ve decluttered, switched out the decor and bought in some storage boxes. 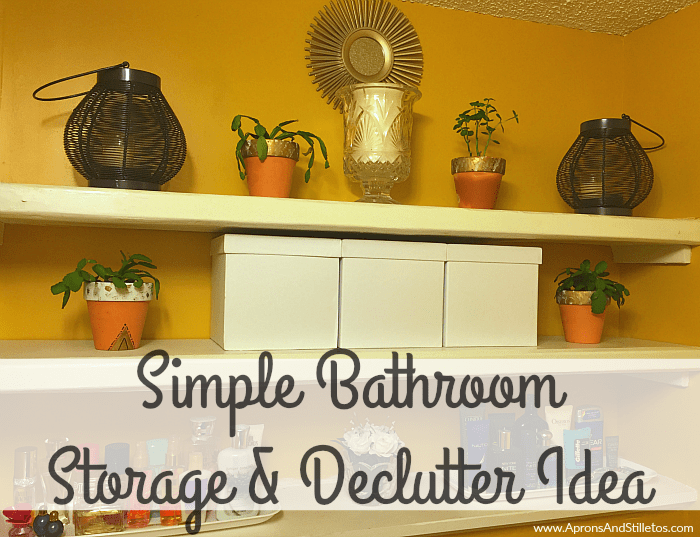 Between my husband and I’s pet peeves, storage boxes seem to meet our need for a clutter free bathroom. He hates seeing my lady products, and I hate seeing all of his razors and shavers everywhere. I found these boxes at the local craft store and thought they’d be great to conceal our things. 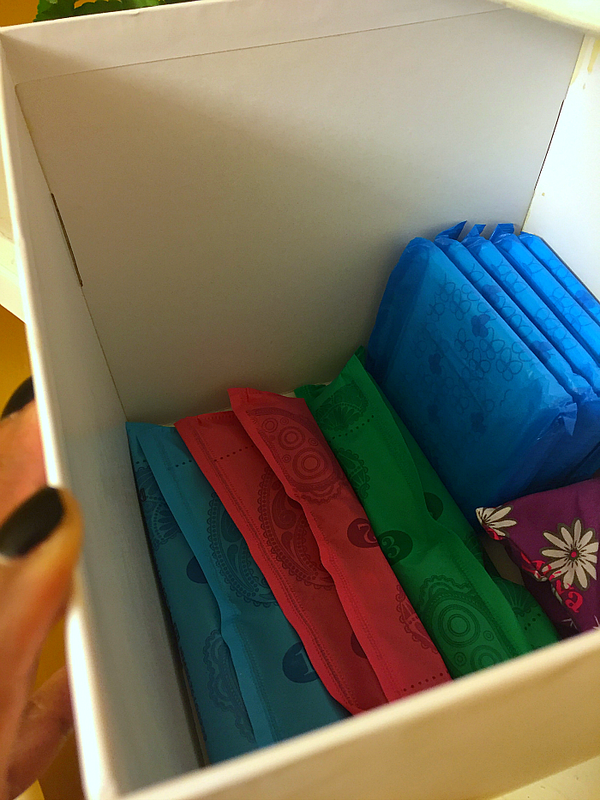 I’m just going to give you a peek inside my box which conceals my Poise* Impressa* Bladder Supports, sanitary napkins and tampons. 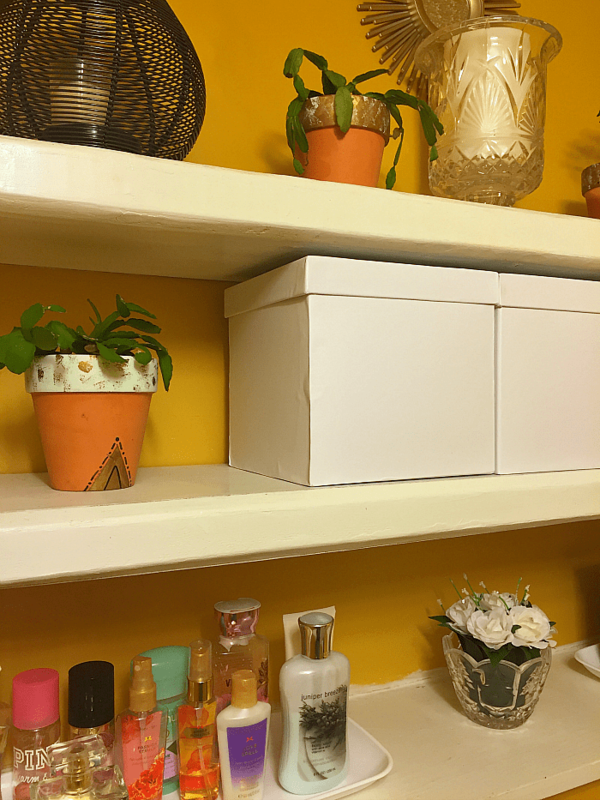 I keep my Poise Impressa, sanitary napkins and tampons in this box on a high shelf until I need them. When I do, I just bring the box down to the lowest shelf making it easier to grab whatever I need. are inserted just like a tampon. can be used for up to 8 hours every day. come in three sizes. There’s a Impressa Sizing Kit to help you find the size that will prevent leaks and feel comfy. When I first told my husband why I use the bladder supports he got all weirded out, but I know you ladies understand. 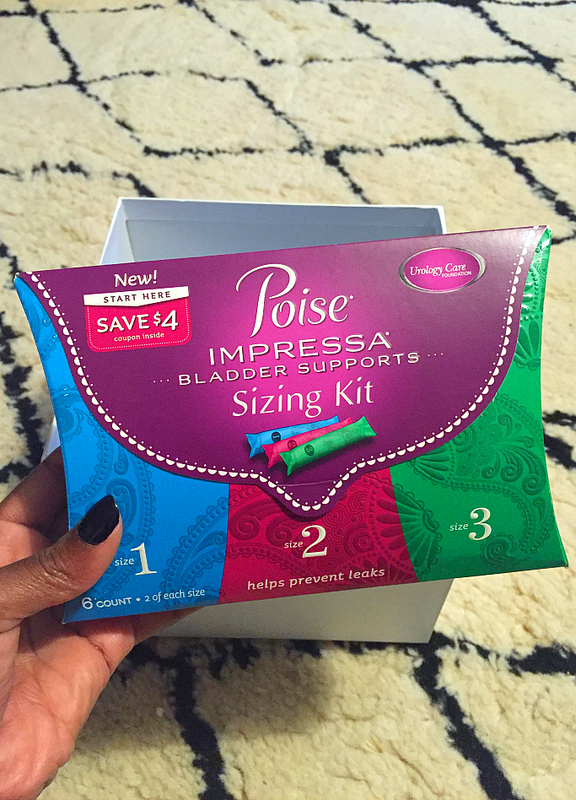 After having children and just getting older, it’s harder to laugh without fear of a little tinkle so I like to keep Poise Impressa Bladder Supports in my storage box. It’s no fun feeling like I can’t laugh and have a good time with everyone else. Bladder supports are there as a backup if and when I need them. I’ll be sharing the details of my Winter deep cleaning routine on my YouTube channel. If you want some tips on how to organize your winter deep clean, make sure you subscribe to my YouTube channel. What a great idea. I really need to do this with my bathroom. It's a mess!! I seriously need to deep clean/organize my bathrooms. We've never properly organized any of the cabinets or drawers to use them in the right way. WOW!! 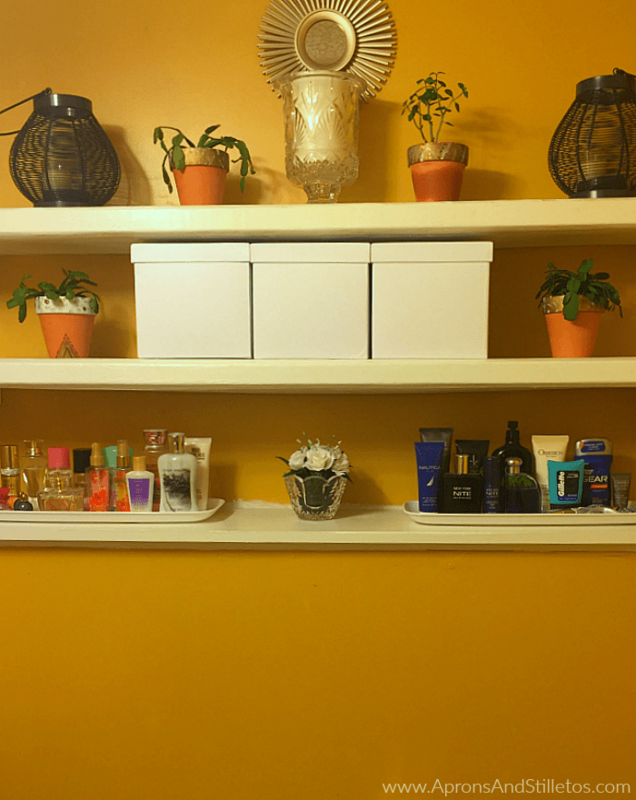 Your bathroom looks great all organized. I wish I had more space to organized like this.